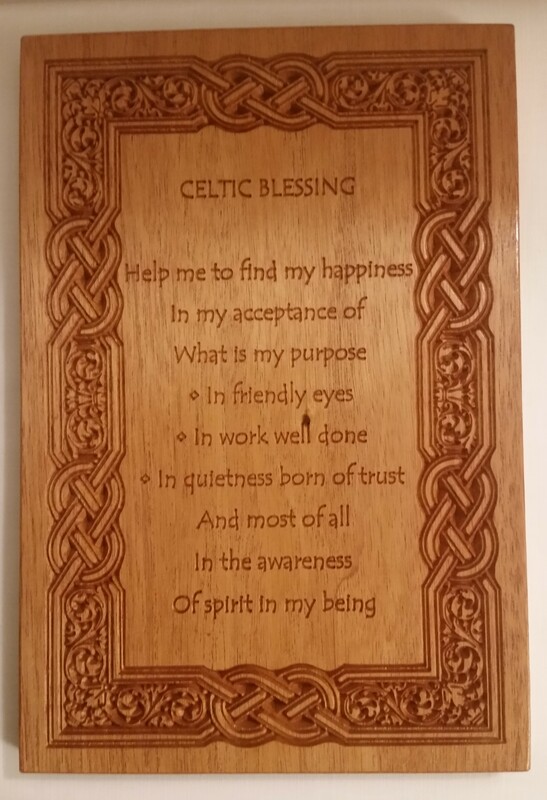 This Celtic Blessing is made from one solid piece of Mahogany. 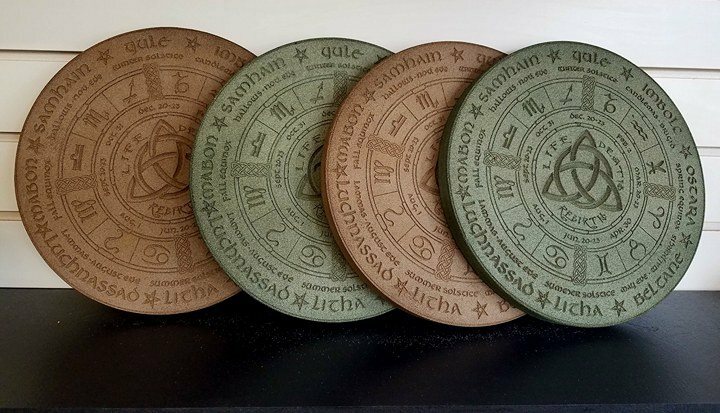 The plaque measures 8 3/8 inches wide by 12 3/8 inches long and is 7/8 inches thick with a built-in hanger hole for easy decorating. 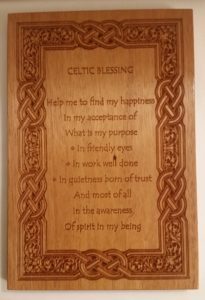 Of spirit in my being.